Charming Ranch Style home located close to schools, highways, shopping, parks and other amenities. 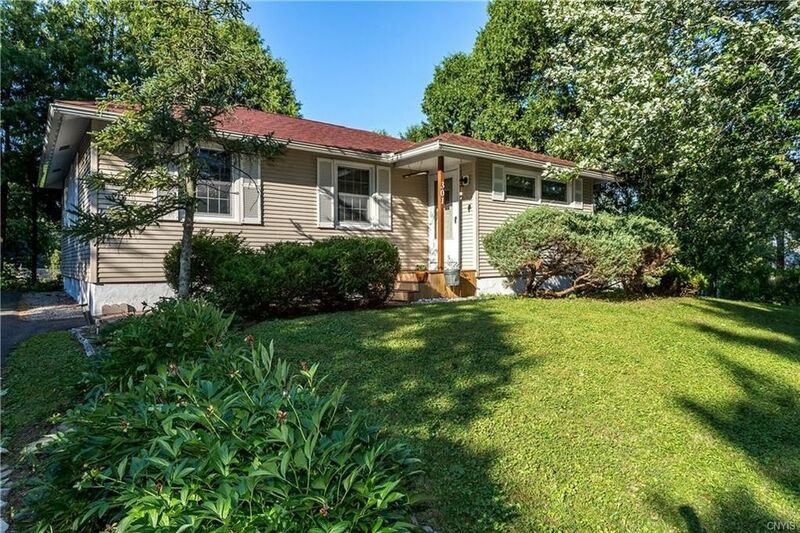 This home features maintenance free vinyl siding, new windows, updated kitchen and baths and hardwood floors. The first floor has a large living room, eat in kitchen, three bedrooms and one bath. The lower level is finished with a family room, bedroom and en suite bathroom that adds approx. 750 square feet of living area! Seller is motivated and accepting all reasonable offers! Directions: E. Genesee Street to Washington Blvd. Home on the corner of Washington Blvd and 2nd Street. Driveway is off 2nd street.